A forthcoming investment project, to be developed in the short term. 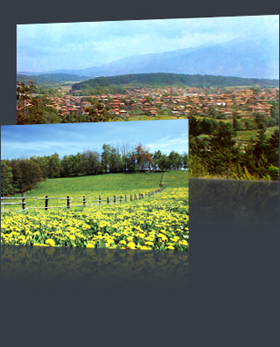 Banya is a village in Razlog municipality, located 5 km. to the northeast from the world-popular ski-resort Bansko. It is situated in the central part of the Razlog valley between the Rila, Pirin and Rhodopa mountains, at 800 m. altitude. • Mineral water spring with temperature of 57oC within the boundaries of the plot.